When selling your own home, privately, you’re in charge, this delivers clear cost savings and gives you control over the whole process. Your home, your sale. With control comes responsibility. With your home, your sale; the onus is on you – to achieve the sale. So to start with, its best to be fair; highlight the many great aspects of your home but be honest and accurate, otherwise you’ll waste your time with viewings that come to nothing. If your sale doesn’t seem to be going to well, remember you’re in control. You need to make it a success; what your objectives are and what is important to you. If speed is more important to you than maximising the price, you can perhaps do something with the commission you are saving – lower the asking price for your house. A lower price may result in a quicker sale. What balance is right for you? 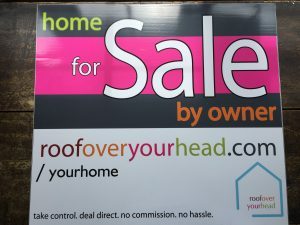 If you want to sell your own home in 2018, with roofoveryourhead.com things are made easy. 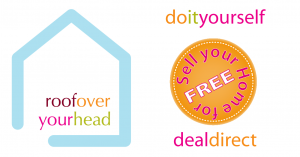 We supply you with the tools to effectively market and sell your property. 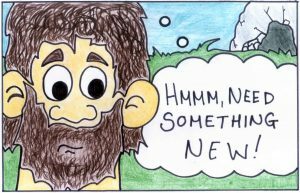 individual marketing material to print or email. personalised display ‘For Sale’ board. a virtual sales room allowing you to communicate, arrange viewings and negotiate with potential buyers. Enabling you to manage the whole process from the initial promotion, through ongoing communications and contact, to the negotiations and subsequent agreement. You control it so low hassle and low cost. So if you want to cut out the middle men, deal directly with buyers, remove pressure and save money then why not sell your own home. Oh yes the cost. roofoveryourhead is absolutely free. That’s right nothing, zilch, nada. So crack on and save yourself thousands. 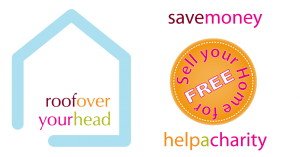 As roofoveryourhead.com allows you to buy and sell the roof over your head for free, what better charity to support than @shelter. Hopefully we can help those who unfortunately struggle to keep one over theirs. Not only do we want to turn the property market on its head, we also hope to try and conduct our business a little differently – be a good business doing good. As we’re helping people sell their home for free we hope that they will be willing to make a charitable donation. We earn a bit less so that hopefully they can earn a bit more.